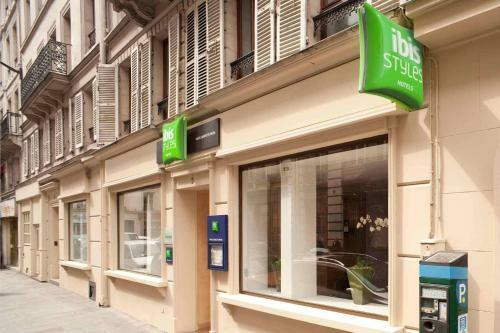 This ibis Styles hotel is situated in the heart of Paris’ 9th arrondissement near the Opera and Grands Boulevards. It offers comfortable and affordable accommodation. The ibis Styles Paris Lafayette Opéra features stylish and modern guestrooms equipped with en suite facilities, satellite TV and free Wi-Fi internet access. They provide functional living spaces for your stay in Paris. This hotel offers high-quality service and comfort. It is located just moments away from the area business centre and major department stores. A flat-screen TV with satellite channels, a fan and free Wi-Fi access are provided in this en suite room. Rate: € 65.00 ... € 260.00; select dates below to get current rates. Rate: € 88.12 ... € 240.00; select dates below to get current rates.